The project aims to improve the capacity of the Consultative Group on International Agricultural Research (CGIAR) centers to evaluate and prioritize research investments, and to support the decision-making of international development partners and national policymakers. Global Futures researchers collaborate with leading public and private institutions around the world. Each center has a team of researchers that contribute to the project outputs. Rose Fiamohe is currently an Associate Principal Staff at Africa Rice Center (AfricaRice) in the Policy, Impact Assessment and Innovation Systems Program. Email: E.Fiamohe@cgiar.org / Africa Rice Center (AfricaRice), 01 BP 2031 Cotonou, Benin. She was graduated in 2010 from Université catholique de Louvain (UCL), Belgium with PhD in Agricultural Economics. 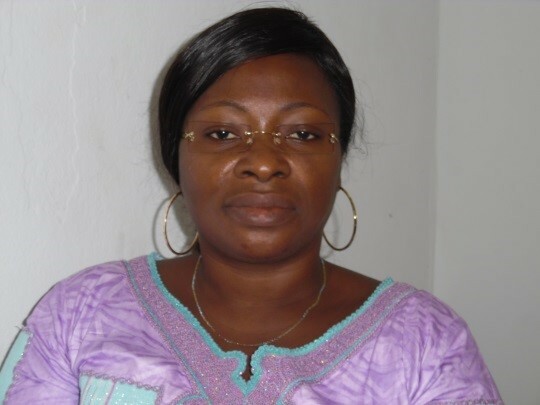 She holds a professional master (2003) and a master by research (2005) in Agricultural Economics from UCL. She has won different awards including excellence scholarships by SCO/UCL (2001-2003), Belgium as well as by Benin Government (1998-2000). Her current research concentrates on the economics of rice in sub- Saharan Africa with a special focus on global and regional rice market dynamic, price transmission, marketing, and consumers’ preferences analysis. 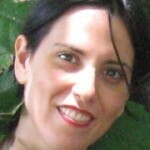 Elisabetta Gotor is Scientist who joined Bioversity International in January 2007 as an Impact Assessment Specialist. 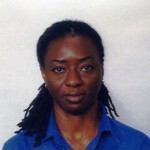 Her research activities focus on demonstrating and measuring the impact of conserving agricultural biodiversity on food security, poverty, nutrition and ecosystem services by applying quantitative and qualitative economic analysis and econometric techniques. Before joining Bioversity she was a researcher at the Department of Agricultural and Food Economics of the University of Reading and a consultant at the Food and Agriculture Organization of the UN. 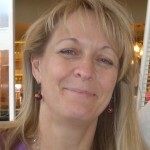 Her research focused on developing a modified version of an applied general equilibrium model that enabled her to determine the impact of the EU sugar trade reform on income distribution in poor African, Caribbean, and Pacific households and to simulate the impact on welfare distribution of two viable Economic Partnership Agreements scenarios in the aforementioned economies. She received her Ph.D. in Agriculture and Food Economics from the University of Reading, and a B.S. and M.S. in International Trade from Roma Tre University. Enoch Kikulwe is an associate scientist based at Bioversity International since July 2014. His work at Bioversity focuses on adoption and impact assessment of agricultural technologies, sustainable use of natural resources and policies on livelihoods, food and nutritional security in smallholder crop systems in Eastern and Southern Africa. Prior to joining Bioversity, Enoch worked as an assistant professor in the Department of Agricultural Economics and Rural Development, Georg-August-University, Goettingen, Germany. His research focused on adoption and impact of tissue culture banana on productivity and income among banana growing farmers in Kenya. Enoch received his PhD in environmental and natural resources economics from Wageningen University, M.S in Agricultural Economics from Makerere University and B.S. in Agriculture from Makerere University. Development of data-driven approach to estimate “feasible rates of adoption” for agricultural technology. Analysis of the consequences of scaling from pixel to FPU level aggregation for a regional analysis of Latin America. Ex ante impact assessment using IMPACT to evaluate the effects of climate change relative to the production of common bean, maize, rice, wheat, and soya (in conjunction with IDB, IFPRI and the CIAT Crop and Climate Modeling team). Analysis and refinement of approaches for regional scale analysis using the IMPACT model. Regional analysis ex ante impact of bean and rice technologies in Latin America using the IMPACT model. 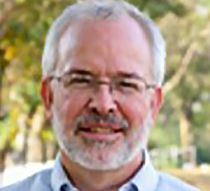 Steve Prager is a Senior Scientist for Integrated Modeling at the International Center for Tropical Agriculture where he leads CIAT contributions to the CGIAR Global Futures and Strategic Foresight activity. At CIAT, Steve is interested in facilitating more informed decision-making in a broad range of areas from research investments to farm management through the use of decision-science approaches that add value to existing and readily obtainable datasets. Prior to joining CIAT, Steve was an Associate Professor of Geography at the University of Wyoming where he conducted research and taught in the area of Geographic Information Science. 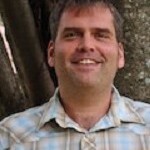 Steve brings a diverse educational background to CIAT with a B.S. in earth science and an M.A. in geography both from the University of North Carolina at Charlotte. 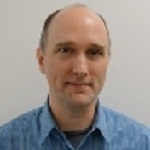 He received his PhD in Geography from Simon Fraser University in 2002 where he studied the interface between economic development and the throughput of environmental goods and services. 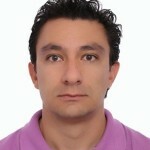 Carlos Eduardo Gonzalez Rodriguez is a Research Assistant in the Decision and Policy Analysis research area of CIAT. He is also a part-time member of the Faculty of Local Development, Economics and Macroeconomics at Universidad Autonoma de Occidente of Cali, Colombia, where he also earned his Master of Economics in 2005. 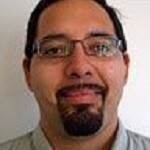 Carlos has a Bachelor’s degree in Economics from Universidad de Manizales, located in Manizales, Colombia. Currently, his research focuses on research priority setting and ex ante impact assessment of agricultural technologies relative to climate change, with a specific emphasis on rice in Latin America. One of Carlos’ key contributions to the team has been his ability to integrate economic thinking with other sciences, including his interest in combining economics and spatial sciences to identify areas in Latin America where bean and rice producers have the potential to be most vulnerable to the impacts of climate change. 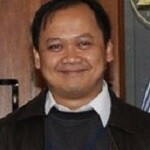 Ahmad Dermawan is a Researcher in the Forests and Governance programme at the Center for International Forestry Research (CIFOR). He obtained a Masters degree in Development and Resource Economics from the Agricultural University of Norway. At CIFOR he is involved in research on political economy of Indonesia’s forestry sector, trade and investment in timber plantations, the oil palm sector, and governance of REDD+. 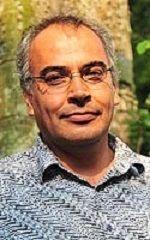 Pablo Pacheco is a Principal Scientist at CIFOR based in Bogor, Indonesia. He holds a B.A. in Sociology, a M.Sc. in Agricultural Economics and a Ph.D. in Geography from the Graduate School of Geography at Clark University, MA, USA. His main research areas include the implications of trade and investment for forests and people, landscapes and agrarian change, forests and landscape governance, and institutions for natural resources management. He is the Coordinator of the Flagship on "Global Governance, Trade and Investment" of the CGIAR Program on Forests, Trees and Agroforestry (CRP-FTA). 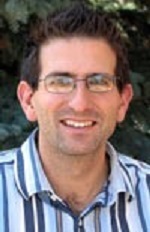 Gideon Kruseman is a Senior Scientist in the Socioeconomic Program (SEP) of the International Maize and Wheat Improvement Centre (CIMMYT). Before joining CIMMYT, Dr. Kruseman worked as researcher, post-doc and senior research fellow with CIAT, Development Economics Group and the Environmental Economics Group at Wageningen University, The Institute for Environmental Studies, Free University Amsterdam, and the Agricultural Economics research Institute LEI, The Hague. He has worked on a wide variety of topics in various countries in Europe, Latin America, Africa and Asia unravelling complex issues related to sustainable development especially where it concerns ex-ante assessment of policies, technologies and their impact on rural livelihoods. He is well versed in a wide variety of models and modelling languages. Mid-2015 Dr. Kruseman joined CIMMYT as ex-ante and foresight specialist. Kindie Tesfaye Fantaye is currently a crop modeler and geospatial analyst at the International Maize and Wheat Improvement Center (CIMMYT). Previously he was the Dean of the College of Agriculture and Environmental Sciences at Haramaya University, Ethiopia and led several research and academic projects. He obtained his PhD in Agricultural Meteorology from the Department of Soil, Crop and Climate Sciences, the University of the Free State, South Africa. His research focuses on crop modeling, agronomy, agro-ecosystems, agricultural water management, geospatial analysis of bioeconomic data, climate change and farming systems modelling, improvement of crop models to suit local environment and simulating promising agricultural technologies across farming systems. Khondoker A. Mottaleb is an Associate Scientist in the Socioeconomic Program (SEP) of the International Maize and Wheat Improvement Centre (CIMMYT). Before joining CIMMYT, Khondoker worked in the International Rice Research Institute (IRRI), Philippines as a postdoctoral fellow of Global Futures for Agriculture and Foresight (GFSF) project. Before relocating to Mexico to work on GFSF project gain, he was working in CIMMYT-Bangladesh as an Applied Socio-economist in Cereal Systems Initiative for South Asia (CSISA and Mechanization and Irrigation (MI) projects. Statistical analysis of past yields for potatoes and sweetpotatoes in order to forecast future yield trajectories. The objective is to review the intrinsic productivity growth parameters in IMPACT as a means to improve the representation of these crops in the model. Ex ante assessment of promising potato and sweet potato technologies. Drawing on the technology definition and results of a strategic assessment of research priorities for the CGIAR Research Program on Roots, Tubers and Bananas for Food Security and Income (RTB), we will compare the results using IMPACT with those of an economic surplus model. The objective is to analyze the differences and complementarities of findings when considering a dynamic framework of analysis with cross-country and spill-over effects between commodity markets. Baseline simulation of global potato yield production with DSSAT-SUBSTOR and test with regional data for creating a stronger link between DSSAT and IMPACT and for better assessing the impacts of new crop technologies (with UFL). Finalizing the publication to scientific journals of research work already completed by CIP in the context of the GFSF project. Guy Hareau holds a Ph.D. in Agricultural Economics from Virginia Tech and is part of the Agronomy department at Universidad de la Republica Oriental del Uruguay. Since 2008, he has been with CIP to work as a specialist in defining priorities for investigation and impact evaluation of agricultural technical change. His specialty is the design of partial and general equilibrium models to analyze economic impacts of agricultural technologies. He has worked in Latin America, Asia, Africa, and the United States. From 2008-2011, he led the Alianza Cambio Andino which investigated impacts of the methods of participants to promote innovation for small farmers and he was a member of the executive committee of the alliance. From 1991-2008 he worked in the projects and economic evaluation division of National Institute of Agriculture of Uruguay (INIA). There, he worked the project IssAndes which sought to quantify the impacts of different types of agricultural interventions on food security. 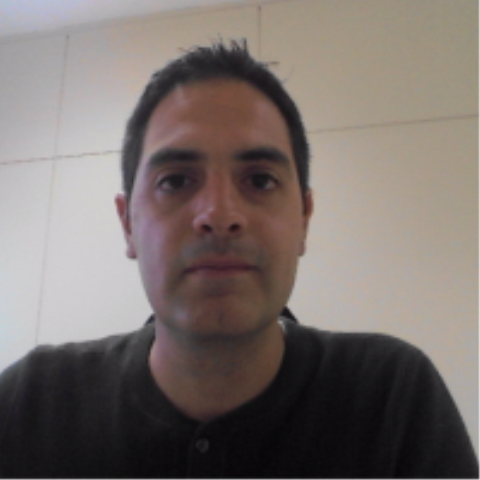 Athanasios Petsakos joined the Social and Health Sciences and Innovation Systems (SHINES) at CIP in December 2014. He holds a PhD in Agricultural Economics from the Agricultural University of Athens, Greece, a MS degree in Environmental Economics from AgroParisTech, France, and a MS degree in Rural Development from the Agricultural University of Athens, Greece. Prior to joining CIP, Athanasios worked as a post-doctoral researcher in the UMR Economie Publique at INRA, France. His research has mainly focused on methods of linking agronomic with farm and regional economic models, and on the impact analysis of agricultural and environmental policies, especially with respect to nitrate pollution control and the sustainable use of irrigation water. 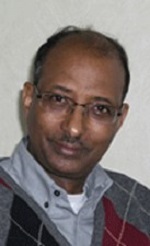 Aden Aw-Hassan is a Principal Agricultural Economist and Director of Social, Economics, and Policy Research Program at the International Center for Agricultural Research in the Dry Areas (ICARDA), with research interests in impact assessment, rural livelihood development, market research and institutional arrangement. Aden A. Aw-Hassan graduated from Somali National University in 1982, and received a Master of Science degree from Utah State University in 1988 and a PhD degree in agricultural economics from Oklahoma State University in 1992. Since November 2009, Aden has been Director of the Social, Economics, and Policy Research Program at the International Center for Agricultural Research in the Dry Areas (ICARDA). 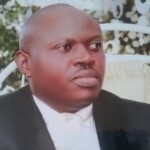 He has over 20 years of experience in agricultural research and development. He also worked as extension service officer and Regional Manager in the mid 1980’s and has accumulated practical experience in agricultural research systems in developing countries. 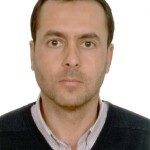 In his current position as Program Director, Aden leads ICARDA’s research program on social sciences and policy in the dry areas; plans, designs and conducts research in a variety of areas, including social and economic impact of climate change, technology adoption and monitoring; market value chain analysis and research impact analysis. 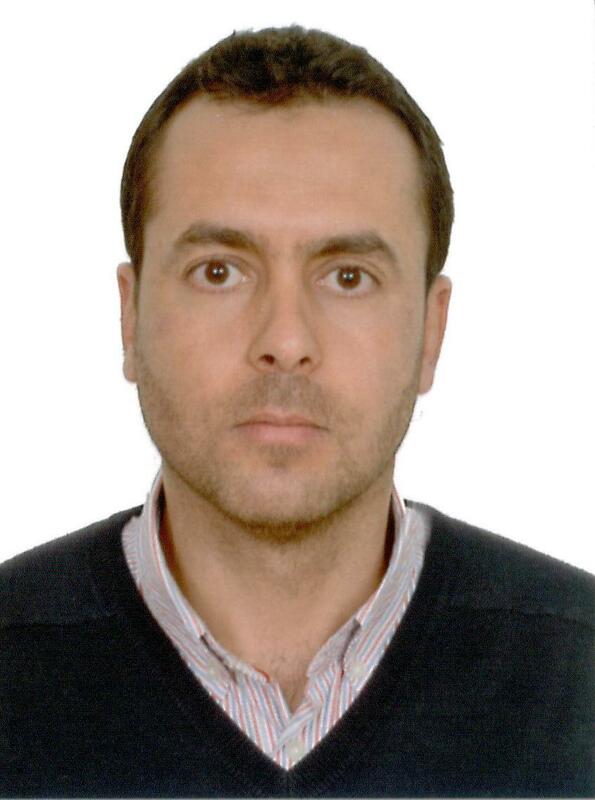 Aymen Frija, Tunisian national, has a PhD in agricultural economics from Ghent University (Belgium) and MSc in Agricultural Economics from the Higher School of Agriculture of Montpellier (ENSAM) France. He is specialized in economic modeling with a focus on natural resources and especially performances valuation of water institutions. 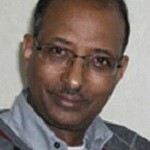 Currently he works at ICARDA as economic modeler specialist. 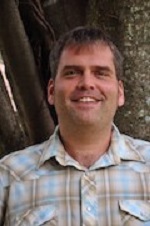 Michael Marshall is currently a climate change scientist with the CGIAR research program on Climate Change, Agriculture and Food Security at the World Agroforestry Centre in Nairobi, Kenya. He is primarily interested in characterizing regional scale land use/cover change and energy/water processes and feedbacks to inform farmer adaptation to water scarcity. After receiving his BS in physics from UC-San Diego, he served as a US Peace Corps volunteer in Tanzania. He received a Fulbright Fellowship, before earning his MA in Environmental Science and Policy at Clark University to evaluate the socioeconomic impacts of climate change on the spread of malaria and cholera in communities around Lake Victoria. He received his PhD in Geography from UC-Santa Barbara in 2010. His dissertation titled, "Modeling Evapotranspiration in sub-Saharan Africa: A Tool for Food Security Analysis" synthesized remote sensing and land surface reanalysis to parameterize a low cost, timely, and accurate evapotranspiration (ET) model. He completed his postdoctoral work under the Mendenhall Research program through the US Geological Survey at the end of 2013 in Flagstaff, AZ, where he combined multispectral broadband and hyperspectral remote sensing to simulate biomass, ET, and crop water productivity for water-intensive crops in the Central Valley of California. External link: http://www.thetippingpoints.com/scientists/dr-michael-marshall/. 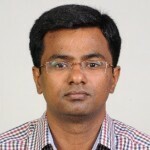 Swamikannu Nedumaran holds a PhD in Agricultural Economics from Tamil Nadu Agricultural University, India. Nedumaran was as Post Doctoral Researcher in the Department of Land Use Economics in the Tropics and Subtropics at The University of Hohenhiem, Germany. He worked on the research project “Integrating Governance and Modeling” in Ghana as part of the CGIAR Challenge Program on Water and Food. 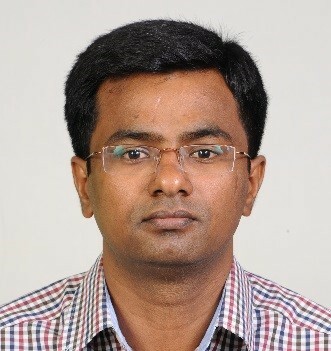 His research include natural resource management, especially in watershed management and small scale irrigation policy, and has interests in Multi-Agent System models, and the application of mathematical programming to study agent behavior, and impacts of policy and technological interventions on welfare of the farm household, and sustainability of natural resources. 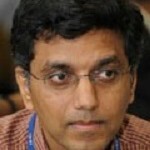 Nedumaran joined the Global Theme – Institutions, Markets, Policy and Impacts at ICRISAT in India as a Scientist (Economics) in April 2010. Dakshina Murthy Kadiyala earned his PhD in Soil and Water Science from the University of Florida, USA in 2012. His PhD research was on developing water and nitrogen saving rice production technologies using field experimentation and simulation modeling. 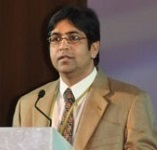 Prior to joining ICRISAT, he was Associate Professor at Acharya G Ranga Agricultural University, Hyderabad, India where he focused his research mainly on developing multi-scale adaptation strategies for farming communities to mitigate climate change impacts and studies on the use of seasonal climate forecasts to enhance food security in South Asia. 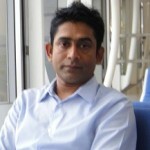 He has a strong research interest in linking remote sensing and GIS techniques with crop simulation models to capture spatial variability. He is actively involved in the Agricultural Model Intercomparison and Improvement Project (AgMIP) a major international initiative working on linking the climate, crop, and economic modeling communities to study the impact of climate change. 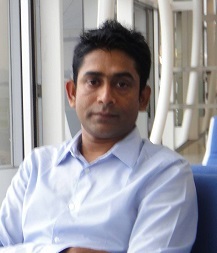 Dakshina Murthy joined ICRISAT as a Special Project Scientist (Crop Modeling) in December 2013. Keith Wiebe is a Senior Research Fellow at the International Food Policy Research Institute in Washington DC, where he leads a research program on Global Futures and Strategic Foresight. 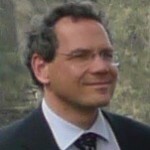 Prior to joining IFPRI in October 2013, he was Deputy Director of the Agricultural Development Economics Division of the United Nations Food and Agriculture Organization in Rome, where he managed a program of economic research and policy analysis for food security and sustainable development, and helped coordinate preparation of FAO’s annual flagship reports on the State of Food and Agriculture and the State of Food Insecurity in the World. Previously he was Deputy Director of the Resource and Rural Economics Division of the US Department of Agriculture’s Economic Research Service in Washington, DC. He received his B.A. in economics from Carleton College, and his M.A. and Ph.D. in agricultural economics from the University of Wisconsin-Madison. His areas of particular interest include land tenure, natural resource use and conservation, agricultural productivity and food security. Mark W. Rosegrant is the Director of the Environment and Production Technology Division at the International Food Policy Research Institute (IFPRI) in Washington, DC. 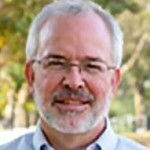 With a Ph.D. in Public Policy from the University of Michigan, he has 30 years of experience in research and policy analysis in agriculture and economic development, with an emphasis on water resources and other critical natural resource and agricultural policy issues as they impact food security, rural livelihoods, and environmental sustainability. Dr. Rosegrant developed IFPRI's International Model for Policy Analysis of Agricultural Commodities and Trade (IMPACT), which has become a standard for projections and scenarios for global and regional food demand, supply, trade, and prices; and IMPACT-WATER, which integrates a detailed water supply and demand model with the food model. He currently directs research on climate change, water resources, sustainable land management, genetic resources and biotechnology, and agriculture and energy. He is the author or editor of seven books and over 100 refereed papers in agricultural economics, water resources, and food policy analysis. Dr. Rosegrant has won numerous awards, is a Fellow of the American Academy for the Advancement of Science, and in 2007 was elected Distinguished Fellow of the American Agricultural Economics Association. 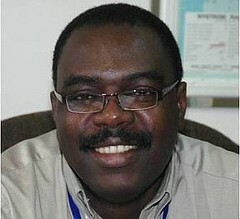 Sherman Robinson is a Senior Research Fellow at the International Food Policy Research Institute (IFPRI), a Visiting Research Fellow at the Institute of Development Studies (IDS), and Professor of Economics (emeritus) at the University of Sussex. 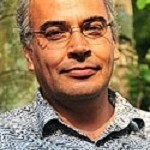 He is also a visiting professor at the Institute of Social Studies (ISS) in the Netherlands. 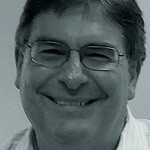 He joined the Economics Department at Sussex in 2004 and then accepted a joint appointment with IDS in 2005. 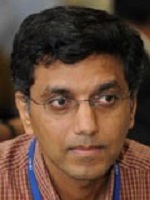 He worked at the International Food Policy Research Institute (IFPRI) from 1993 to 2004 as Director of the Trade and Macroeconomics Division (1993 – 2003) and Institute Fellow (2003 – 2004), and he rejoined IFPRI as a Senior Research Fellow in 2011. 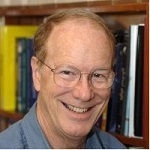 Before joining IFPRI in 1993, he was: Professor of Agricultural and Resource Economics at the University of California, Berkeley (1983-1994); Economist, Senior Economist and Division Chief in the Research Department of the World Bank (1977-1983); Assistant Professor of Economics at Princeton University (1971-1977); and Lecturer in Economics at the London School of Economics (1969-1971). He has been a consultant to the World Bank and has held visiting senior-staff appointments at the Economic Research Service, U.S. Department of Agriculture; the U.S. Congressional Budget Office; and the President's Council of Economic Advisers (in the Clinton administration), where he largely worked on trade issues, including regional trade agreements, GATT/WTO negotiations, and the North American Free Trade Agreement (NAFTA). 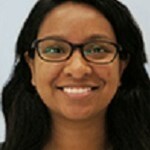 Shahnila Islam is a Senior Research Assistant in the Environment and Production Technology Division at IFPRI. 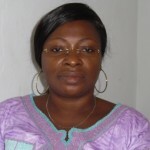 She joined IFPRI in 2012 as a member of the IMPACT model development team. She graduated with a Master’s degree in Environmental Economics from the University of Illinois at Urbana-Champaign in 2009 and has Bachelor’s degree in Economics from Hanover College in Indiana. 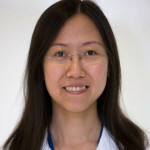 Prior to joining IFPRI she conducted research on the water-energy nexus as a Research Associate at the Institute of Water Policy at the Lee Kuan Yew School of Public Policy at the National University of Singapore. 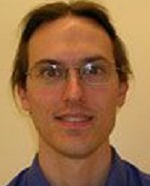 Daniel Mason-D’Croz is a Research Analyst at IFPRI and a member of the IMPACT model development team since November 2010. He graduate with a Masters in International Development and International Economics from Johns Hopkins School of Advanced International Studies in 2010. 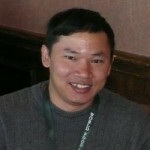 His undergraduate work focused on International Business and Computer Science at the University of Nebraska’s Raikes School of Computer Science and Business Management. Prior to IFPRI, he served as a Research Associate at the U.S. International Trade Commission. Additionally he worked at the University of Nebraska reviewing the effects of biofuels on food, as well as serving as a Peace Corps Volunteer in Bolivia from 2004 to 2007. Ricky Robertson joined IFPRI in 2008. Prior to that he completed environmental and water related post-docs at the University of Illinois at Urbana-Champaign in the Civil and Environmental Engineering as well as Agricultural and Consumer Economics departments. His PhD research (also at the University of Illinois) revolved around empirically modeling land use decisions using very large datasets to estimate discrete choice models. Prior to that, he earned a double major in Mathematics Education and Physics from Andrews University in Michigan. 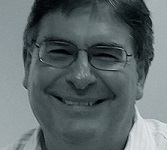 Timothy Sulser is a Scientist at IFPRI working with the Global Futures and Strategic Foresight initiative of the CGIAR. He joined IFPRI as a Research Analyst in 2004 to work on the International Model for Policy Analysis of Agricultural Commodities and Trade (IMPACT) and continues engagement with this important tool. A US citizen, Sulser holds a M.A. in Tropical Conservation & Development from the University of Florida and a M.S. in Agricultural & Resource Economics from University of California - Davis and has worked in community development, agricultural extension, and farming systems modeling in Latin America. His work at IFPRI has focused on agricultural and food policy issues, particularly on scenarios of climate change, technology advancement, biofuels, hunger and malnutrition, and natural resource use in Latin America, East and South Asia, and Sub-Saharan Africa. Siwa Msangi is a senior research fellow in the Environment and Production Technology Division (EPTD) at IFPRI,and co-leads the EPTD’s research theme on Outlooks and Global Change. Siwa works closely with ILRI colleagues in the supply of enhancements to the livestock sector representation in the IMPACT model. He also contributes to the evaluation of livestock promising technologies and development options. Dr. Msangi holds a PhD in Agricultural and Resource Economics. Arega Alene is an agricultural economist IITA based in Malawi and leads research programs on impact evaluation and strategic analysis of R&D investments and priorities. He started his career in 1992 at Alemaya University of Agriculture in Ethiopia as a lecturer in agricultural economics upon earning his B.Sc. in agricultural economics (with distinction) from the same university. Arega joined IITA in October 2003 as a postdoctoral fellow with the impact, policy, and systems analysis program. He has published over 40 research papers, with over 30 of these in peer-reviewed journals, namely, Agricultural Economics, Food Policy, World Development, Empirical Economics, Journal of African Economies, Journal of Developing Areas, Agricultural Systems, Agricultural Economics Review, Quarterly Journal of International Agriculture, Outlook on Agriculture, Journal of Agricultural and Food Economics, and South African Journal of Agricultural Economics. 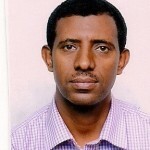 An Ethiopian national, Dr Alene holds a Ph.D. in Agricultural Economics from the University of Pretoria, South Africa. His research interests include R&D impact evaluation, productivity analysis, agricultural policy, and international development. Sika Gbegbelegbe Dofonsou came from the Regional Strategic Analysis and Support System (ReSAKSS) based in the International Livestock Research Institute (ILRI). While in ReSAKSS, where she was a post-doctoral scientist in economics, she conducted research on trade in staple foods and food security in Eastern and Southern Africa (ESA). She holds a PhD in Agricultural Economics from Purdue University. Her dissertation was on assessing the potential economic impact of Bt cowpea, a genetically engineered pulse crop, in West Africa. She received her PhD from Purdue University in 2008. Sika joined CIMMYT as post-doctoral fellow in February 2011. Nationality: Canada and Benin. Work at ILRI under the GFSF project centers around the assessment of current and alternative technology, investment and policy strategies for livestock development, for their long-term implications for livestock-related incomes, food security and nutrition, and their effects on the environment. In contribution to this objective, our current work focuses on enhancement of the IMPACT modeling tool to improve how the livestock supply system is represented - including its links to the natural resource base - in turn improving usefulness of the modeling platform to livestock-sector analysis. Related work tests the validity and capabilities of the revised model using case country applications and data from ILRI projects in the sub-Saharan Africa region; and will apply the enhanced platform to analysis of the potential long-run impacts of specific livestock (feed, genetics and health) innovations in selected countries. 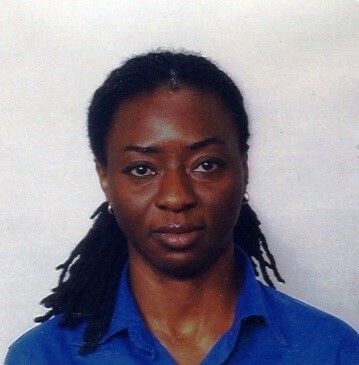 Dolapo Enahoro is an Agricultural Economist in the Policy, Trade and Value Chains (PTVC) research team at ILRI. She works with colleagues at ILRI and IFPRI in the enhancement of the livestock sector representation of the IMPACT model. Her research also includes the evaluation of research and investment options for improving livestock productivity in developing countries, and their implications for food security and the environment. Dolapo is a graduate of Cornell University in Ithaca, New York, where she earned her PhD in Regional Science and a Master's degree in Applied Economics and Management. 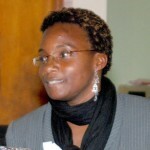 She joined ILRI in November 2010. 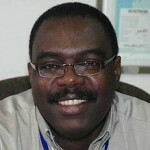 Mohamadou Fadiga is a senior agricultural economist based in Dakar, Senegal. His research focuses on value chain, policy analysis, consumer demand, and animal health economics. He holds a PhD in Agricultural and Applied Economics (Texas Tech University), an MSc in Agricultural and Resource Economics (West Virginia University), and a DVM in Veterinary Science (University of Dakar School of Veterinary Medicine). 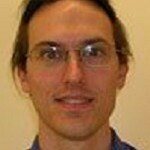 His work has been appeared in various peer-reviewed journals, including Food Policy, Bio-based and Applied Economics, Economic Inquiry, Journal of Agricultural and Resource Economics, Journal of International Trade and Economic Development, Contemporary Economic Policy, Journal of International Law and Trade Policy, Journal of Agribusiness, Journal of Economics and Finance, International Trade Journal, Applied Economics Letters, Environmental Economics, and Agricultural Economics Review. 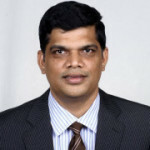 Samarendu Mohanty is senior economist and program leader on Policy and Targeting at the International Rice Research Institute (IRRI). As head of the Social Sciences Division (SSD) at IRRI, Sam recruits and retains quality staffs to create a conducive environment for research and professional development, as well as conduct research on all aspects of rice including marketing, policy and trade, and impact assessment. Sam’s expertise involve: commodity modeling, trade and policy analysis, marketing and policy analysis, and agricultural marketing and cooperation. 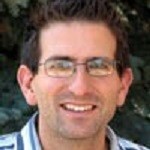 Prior to joining IRRI, Sam was the associate director at Cotton Economics Research Institute, Texas Tech University. Sam obtained Doctor of Philosophy from University of Nebraska-Lincoln, USA. 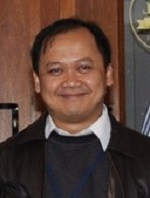 Tri Setiyono is a scientist at the International Rice Research Institute (IRRI) with expertise in crop modeling applications including: (1) its combined use with remote sensing for yield mapping and forecasting, (2) yield gap assessment, (3) integrated food security monitoring. 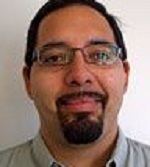 Prior to joining IRRI in 2011, Tri was a Postdoctoral Research Associate at University of Nebraska-Lincoln, USA for 4 years developing and mainstreaming decision support tools for Maize and Soybean growers and extension services in the Midwestern United States. Tri earned PhD degree in Agronomy in 2007 from University of Nebraska-Lincoln, USA specializing in Crop Modeling. Aditya Sood is a researcher at International Water Management Institute (IWMI), Colombo, Sri Lanka, where he is involved in multiple water-related projects dealing with global scenario analysis, hydro-economic modeling and river basin level studies. He has an interdisciplinary background with educational degrees in Civil Engineering (IIT BHU, India), Environmental Engineering (IIT, Chicago, USA) and Energy and Environmental Policy (University of Delaware, USA). His areas of expertise include watershed and water quality management/modeling, GIS-based decision-support and planning, and integrated (water/energy/environment) policy analysis. 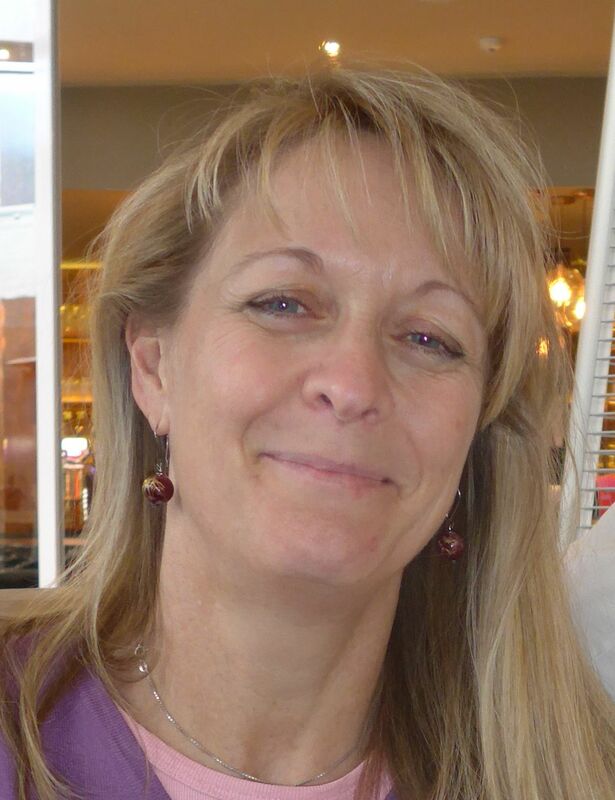 Karen Villholth is Principal Researcher within Groundwater Management, stationed at the IWMI-Southern Africa Office in Pretoria, South Africa since 2012. Her keen interest in groundwater for development has prompted her to do research, consultancy and capacity building related to groundwater management and in particular groundwater use and management for agriculture in Sub-Saharan Africa and Asia. Also, she has worked on groundwater resilience and vulnerability to climate change as well as to extreme events, like the 2004 Asian tsunami. She also works on transboundary aquifer mapping, benefit sharing and management. She is previous Chair and co-founder of the Danish National Chapter of the International Association of Hydrogeologists (IAH) and a co-founding member of the IAH Commission on Groundwater for Decision Makers and the IAH Commission on Transboundary Aquifers . She has more than twenty years of professional experience, has edited three books related to groundwater management, besides a significant number of publications in international high-ranking journals. She holds a Ph.D. on flow and transport processes in soil and groundwater from the Technical University of Denmark. She was previously with the Geological Survey of Denmark, and prior to that DHI as well as with IWMI, working from the Head Quarter‘s office in Sri Lanka. 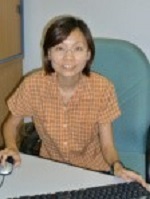 Nhuong Tran is currently a Scientist in the Discipline of Policy, Economics and Social Science (PESS) at WorldFish. At WorldFish, his research focuses on fish/seafood supply and demand analysis; impacts of climate change, technological change, seafood value chains, food safety regulations, and third-party certification schemes on fish/seafood production, consumption and international trade. 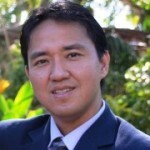 He holds a PhD in Applied Economics, a MS degree in Rural Sociology from Auburn University, a MS degree in management of natural resources and sustainable agriculture (MNRSA) from Norwegian University of Life Sciences, and a BS degree in aquaculture from Nha Trang University, Vietnam. A former 14 year experience researcher of the Research Institute for Aquaculture No.1 (RIA1) and the Vietnam Institute for Fisheries Economics and Planning (VIFEP), he came to the WorldFish Center in 2011. 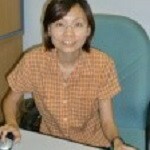 Chin Yee Chan joined WorldFish in 2014 as a Research Analyst in the Discipline of Policy, Economics and Social Science. She currently focuses on the fish supply and demand modelling and projection using GAMS for the global future and strategic foresight project as well as other bilateral projects in Indonesia, Bangladesh and Zambia at WorldFish. She completed her BS and MS degrees in Chemistry in Universiti Sains Malaysia. She has received extensive training and experience from mentors in the United States in both clinical research and basic sciences. 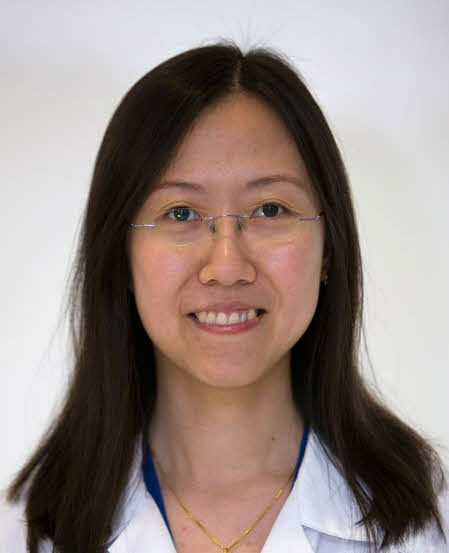 In 2005, Chin Yee joined the Center for Molecular and Human Genetics, Nationwide Children’s Hospital in Columbus, Ohio. She was involved in the mechanism of embryonic development in Zebrafish transgenic model. While working as a Research Associate in the Center of Perinatal Research in 2009, she was involved in the Neonatal Infant Feeding Disorder Program to study the neonatal dysphagia, gastroesophageal reflux disease and chronic lung disease. 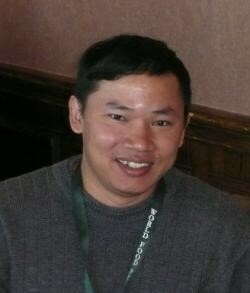 Shwu Jiau Teoh is a GIS Specialist in the Discipline of Natural Resourse Management at WorldFish. She has strong technical GIS and computer programming skills. She develops GIS applications at WorldFish that are associated with land, water, aquaculture and fisheries. Her current research focuses on comparing effects of different aquaculture technology adoptions on fish yields and production. Shwu Jiau contributes to the global futures and strategic foresight project by combining spatially explicit data with economic models for projecting and analysing fish production, consumption and trade. She obtained her MSc in Information Technology from Universiti Sains Malaysia and BSc in Geoinformatics from Universiti Teknologi Malaysia. Since joined WorldFish in 2005 and has involved in several projects applying GIS modelling and multi-criteria evaluation approaches to identify suitable areas for aquaculture in developing countries such as Cameroon, China, Bangladesh, Malawi, Timor-Leste, and Solomon Islands. 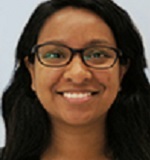 She has also gained substantial experience in developing web-based GIS systems (e.g., leading a team to develop the portal for MPA Atlas of the Bay of Bengal Large Marine Ecosystem (http://boblme.reefbase.org).